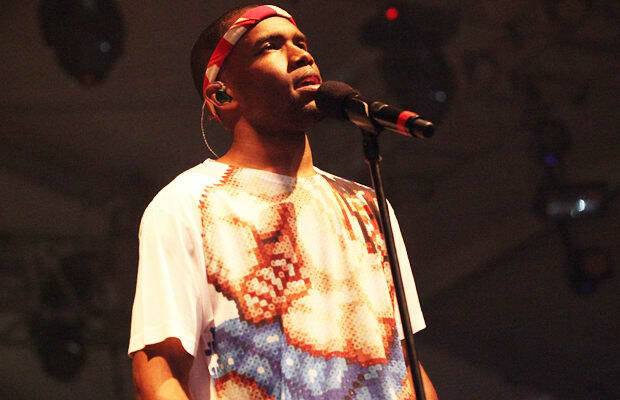 The 10 Best Lyrics From Frank Ocean's "Channel Orange"
As one of the most anticipated albums of 2012, Frank Ocean's Channel Orange dramatically lives up to expectations, presenting a dreamy, confused exploration of the human psyche and Ocean's own views on love and emotion. Starting as a simple TV broadcast, the album crashes into a cacophony of chaotically opposed feelings and hopeless, detached dreams. Frank chooses to center his album on love, but takes the already complex emotion into uncharted realms and wild places, eventually confusing his lusts and passions. By the end, Ocean produces one of the more tangled albums in recent memory, but one filled perfectly with clever wordplay, impassioned pleas, and a very real sense of dread and fear to which everyone can relate. Channel Orange is an approach from left field, but one solidly deserving of praise and a thorough listen through the darker cracks of the human condition. For a break down of the album, we've linked with RapGenius to bring you The 10 Best Lines From Frank Ocean's Channel Orange, a mix selected for creativity, passion, and Ocean's now classic knack for revealing the depths of his chaotic heart.